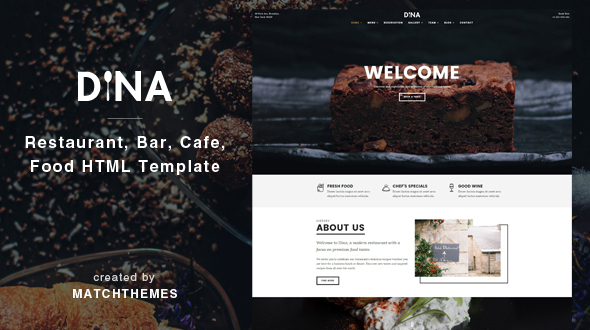 Dina is a restaurant HTML template with a clean and modern design. It’s the best solution for coffee shops, restaurants, bars, pubs, bakeries and any food, drink related business website. The template has a fully responsive layout so it looks great on all devices. Dina comes with everything you need to launch and manage your restaurant website, food menu templates, reservation form, galleries, blog page layouts, team templates.